Getting married? We've collated ten beautiful W1 wedding venues for you to explore ahead of your special day. Renowned for world famous luxury event spaces, Mayfair is the perfect place to start when looking for the venue of your dreams. Beyond its grand scale and classical period detail, this wonderful venue is an exceptional canvas for all of your wedding, events and meeting needs. The selection of spaces provide a variety of styles and sizes, including a private standing reception for 450 guests across the entire house. In addition, the Courtyard provides a unique sheltered outdoor space in the heart of Mayfair and can provide a perfect setting for an alfresco reception. The experience starts the moment you make an enquiry. Your dedicated wedding coordinator can curate every detail, from stationery to entertainment, photography to flowers. With a history of state banquets and royal receptions, the hotel can comfortably accommodate up to 400 guests. If your party numbers at least 60, you will receive a complimentary night in a suite and special rates for your guests. Celebrate your wedding day at Morton's Club, conveniently located next to Mayfair's Berkeley Square, moments from Green Park and Bond Street stations. This beautiful, relaxed and exclusive private member's club has a wedding license, meaning you can host both your wedding ceremony and reception at the club. This multi-faceted venue has a number of options available for bridal parties. Please click here to see the wedding brochure. Providing luxury weddings in the heart of Mayfair, Red Carnation Hotels is a group of 5-star boutique hotels located across the world. 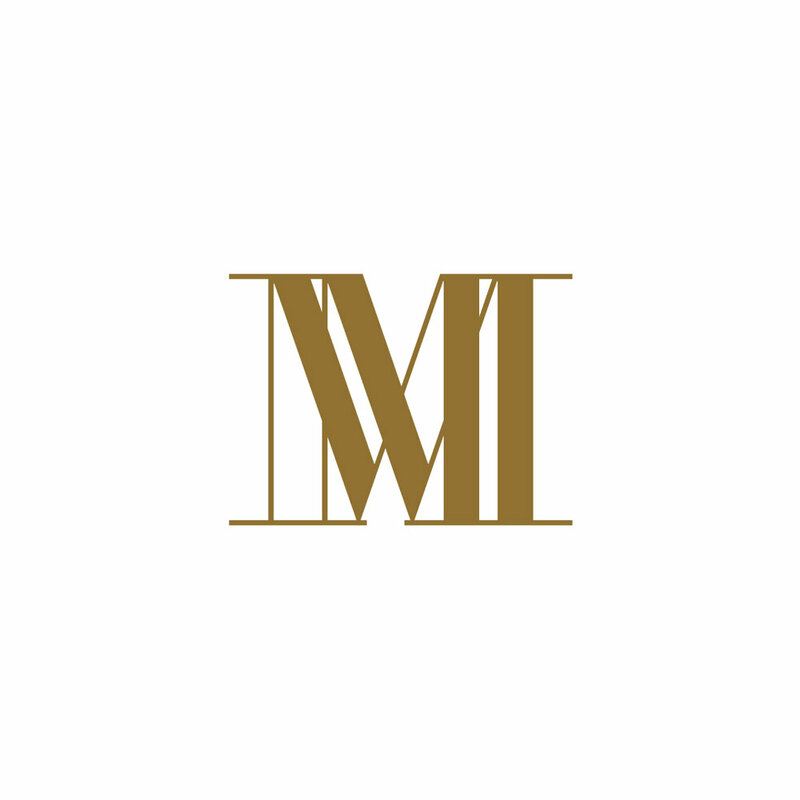 The Chesterfield Mayfair hotel sets an elegant scene with an experienced and dedicated team that are entirely at your service to help organise your perfect day. Tailored to your individual wishes, you are assured a wedding day that is everything and more than you could imagine. Unforgettable weddings are made at The Connaught, with a choice of event spaces that are as stunning as they are versatile, whether you’ve a dazzling party or low-key celebration in mind. An experienced events team are on hand to make your dream day go exactly as you always imagined. The Connaught is fully licensed for holding weddings and civil partnerships – as well as being ideally located, close to Farm Street Church. No.4 Hamilton Place is a wonderfully historical wedding venue and was once home to the Duke of Wellington. With it’s incredible variety of ornate and spacious rooms for wedding ceremonies and receptions, this elegant Edwardian townhouse is a perfect choice for a wedding venue. The Roof Terrace allows guests to enjoy an exclusive outside London space with flowers & foliage (and of course a marquee in case the British weather strikes). The hotel is one of the most revered destinations in Europe for weddings and special occasions. The stunning Great Room can accommodate up to 2,000. Accentuate your luxury wedding with delicious catering, customised by the talented on-site culinary team. Allow expert wedding planners to assist you with venue requirements, accommodation and more. Grosvenor House is one of Mayfair's most prestigious locations for Kosher and Indian wedding celebrations. The May Fair Hotel’s iconic spaces provide a superbly flexible wedding venue with backdrops, from the spectacular Baccarat chandelier of the Crystal Room to the Art Deco indulgence of the Danziger and opulence of the luxury private suites. Start the proceedings in the Atrium, providing a stunning welcome for your guests. A licence to perform ceremonies ensures that The May Fair can function either as a reception space or an exclusive wedding venue. The Lansdowne Club is an elegant and romantic venue for your special day. With unique and beautiful rooms for your ceremony, wedding breakfast and evening reception, as well as accommodation for yourselves and your guests, the Club offers everything you could be looking for. The Lansdowne Club offers you and your guests the use of up to 20 rooms and suites, subject to availability. "Getting married in such an iconic London venue weaves your own history into the threads that create this amazing city. You’re forever a part of its legacy – and that’s so exciting." - The Dorchester Events Team. 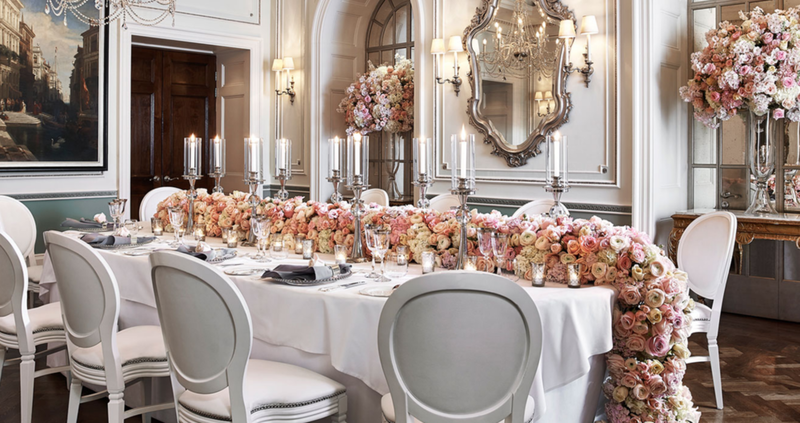 The Dorchester Hotel offers many different options for bridal parties wanting to get married at this world-renowned, luxurious and timeless Mayfair hotel. From the luxury suites to the famous ballroom, there are spaces suitable for every party size.